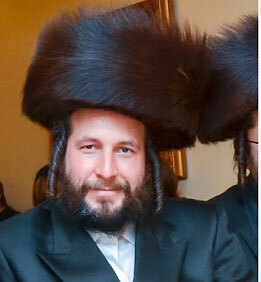 The NYPD is set to soon announce a major finding in the mysterious kidnapping and death of Menachem Stark, a highly placed source told Brooklyn Currents on Sunday, March 23. The source indicated that the announcement may disclose a "solution to the case." At least four people were taken into custody and were being questioned by police in connection with the kidnapping and murder of Menachem Stark, law enforcement sources told NY1. The 39-year-old landlord and businessman went missing in early January this year. His charred remains were found in a Dumpster a few days later. Police were investigating whether the abduction and killing were related to his business or real estate dealings. The New York Post outraged family members -- as well as many Brooklyn residents and politicians -- when it ran a headline with its coverage: Who DIDN'T want him dead? 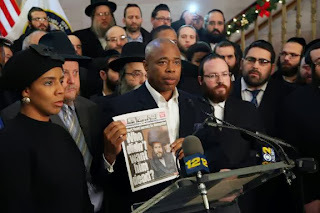 Brooklyn Currents and its sister site, HaOhr, were among the news outlets that editorialized harshly against the Post for its portrayal of Stark, who was known in Jewish communities as a philanthropist and whose death drew thousands of mourners to his quickly arranged funeral.